There is nothing quite like the feeling of laying in lush, green grass on a warm summer day. Whether you need a new lawn or an old, damaged lawn replaced, our landscape experts at Westfall Exteriors can help – by installing grass seed or sod. We will work with you to decide whether the immediacy of laying sod or the longer time gap in planting grass seed is the best option for your property. Our landscape architects will sit down with you to determine your time tolerance for creating a lawn, your price point, and your terrain. stimulation of the senses – savour the smell of fresh-cut grass. 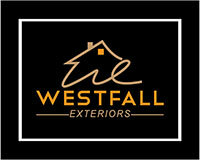 Call Westfall Exteriors today to find out how you can get the grass greener on your side. Complete the form on this page to receive a free, no-obligation, on-site estimate at your convenience.